You can travel to Kinsale from Cork City and Cork Kent Train Station on Bus Éireann number 226. This is a very frequent and reliable bus service to Kinsale from Cork City that runs 7 days a week. Free Wi-Fi is available on all buses so the 45-60 minute trip gives you plenty of time to check out what to do in Kinsale from our website www.kinsale.ie. 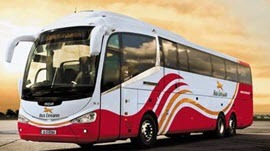 The service runs up to fifteen times a day (Monday to Saturday) and a reduced service on Sundays and public holidays. Note: The Kinsale bus stop is now located in the Main Car Park. The bus stop in Kinsale is located in the main car park on Pier Road next to the park. Tickets for all Bus Éireann trips can be purchased from the bus driver, online or at the Cork City Bus Station. You can also use your “Leap Card” on this bus. 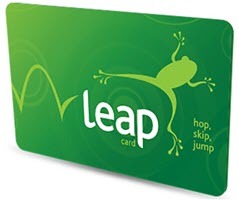 Leap Cards can be purchased or topped up at Centra Kinsale. All Cork City to Kinsale buses stop briefly at Cork International Airport and at Cork Kent Train Station There is also a 226A bus that just services Cork City to and from the Airport. In Cork City you may make connections to other destinations throughout Ireland by bus or train. Please keep in mind that schedules may change on public holidays.